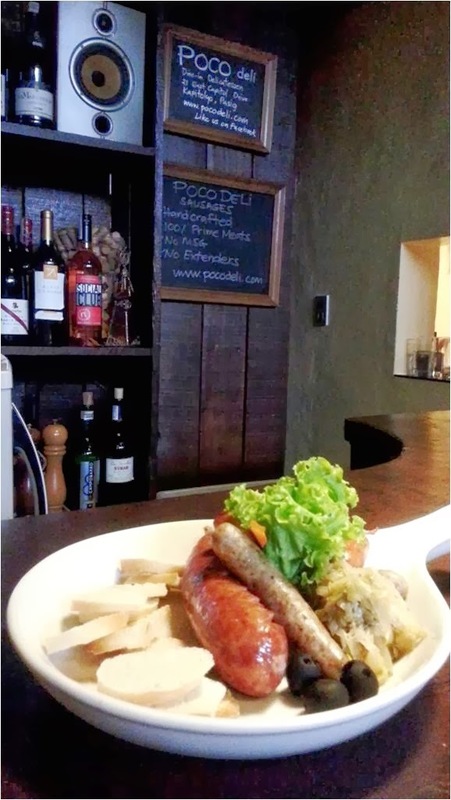 GASTRONOMY by Joy: Poco Deli, Loving the Art of Sausage-making! 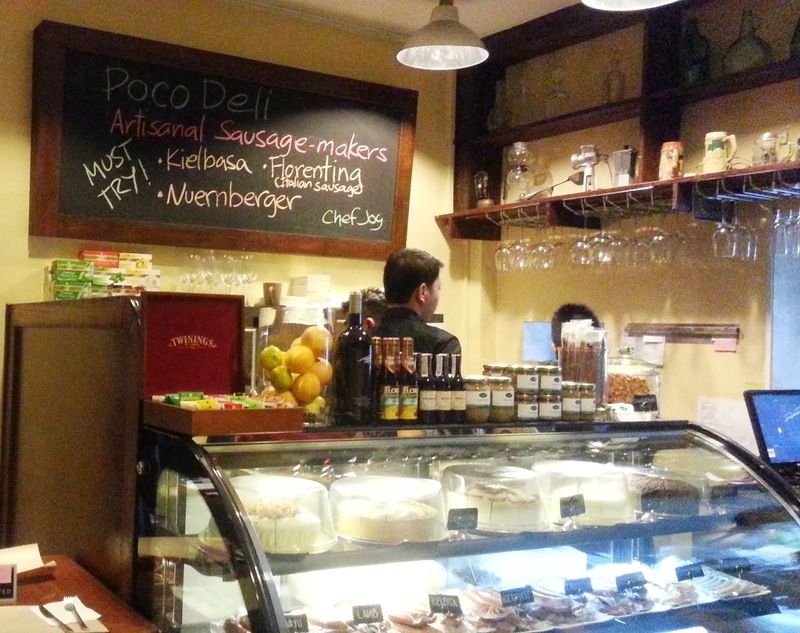 Poco Deli, situated unassumingly along East Capitol Drive in Pasig City, has only 5-6 tables including those outside. Upon entering, you’d notice on the left is the littlest open kitchen where they prepare all the food served. Near the counter are display cases of cheeses, wines and their home-made deli products like sausages. I actually came home with their best selling rack of bacon. So you think you knew bacon? Well, come on over at Poco Deli, say bacon plate to the wait-staff and this is what they would serve you. 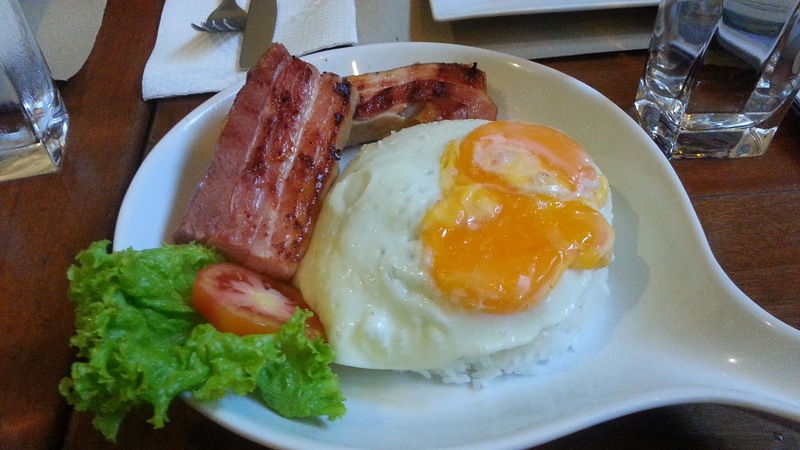 A thick slab, oh make that two, of pork belly with a cup of bacon-rice topped with twin sunny-side eggs. 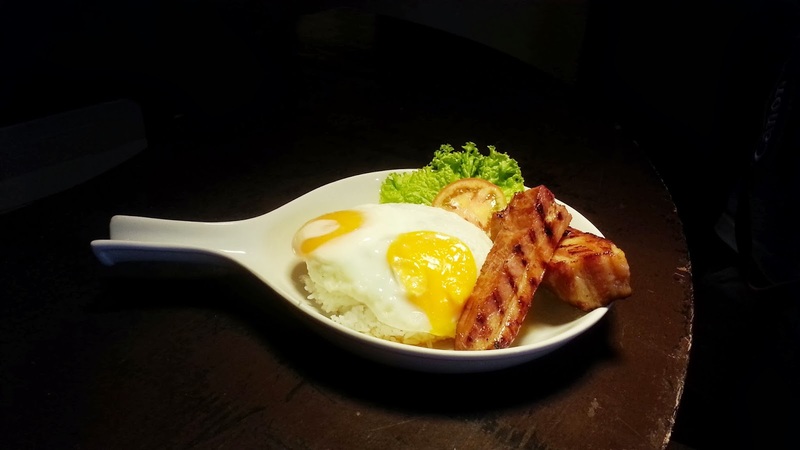 According to the staff, their bacon slabs are smoked for six hours or so to achieve that dry curing process wherein the salt and other herbs are infused to the meat making it extremely savory and smokey! I like that it's not that sweet and super salty like the regular bacon we buy in the groceries. 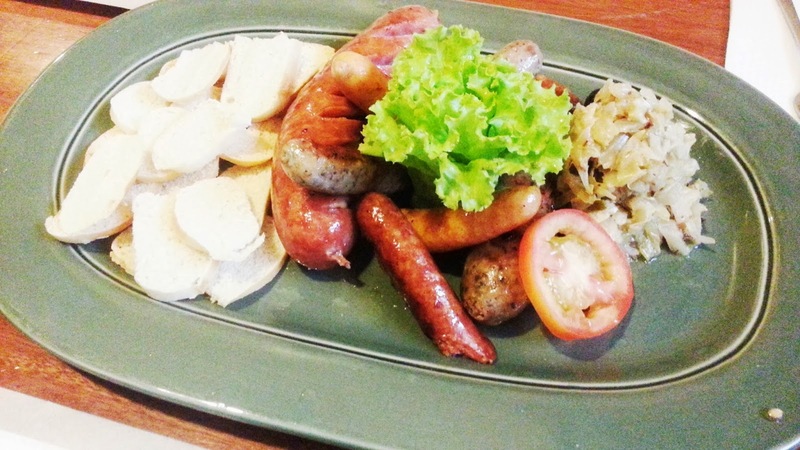 It's a huge plate with a choice of three of their best-selling sausages - Kielbasa, Nuemberger, Bratwurst, Cheese Krainer, Chicken Sausage, Bockwurst, or Frankfurter. Served with homemade sauerkraut and mini toasts. Australian Steak Sandwich (220.00) is just sublime. 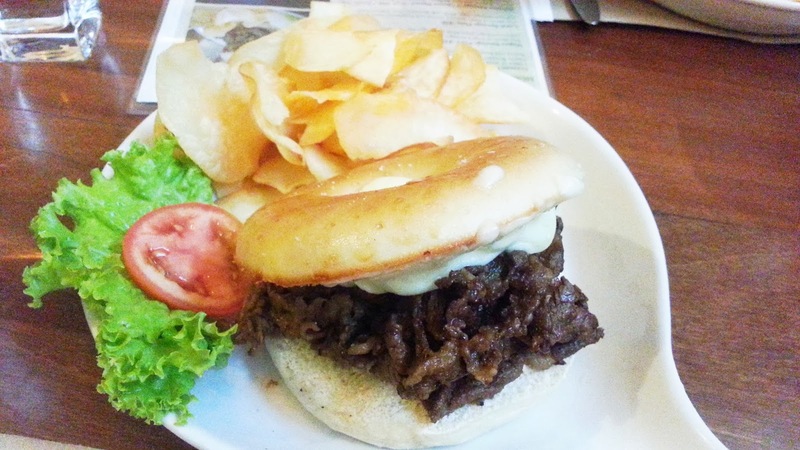 A non-typical New York bagel sandwich with pan-grilled, sliced Australian steak topped with melted Mozzarella Cheese. Their pizzas too are to-die for. 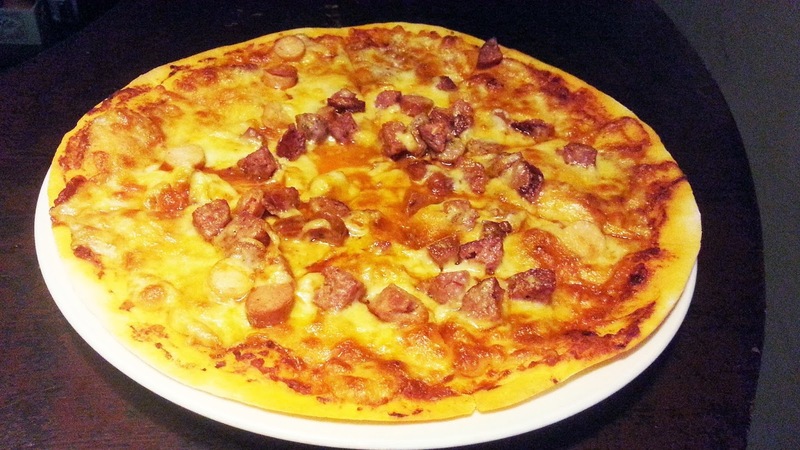 Get either Quatro Formaggi (Four-cheese) or the Quattro Carne Pizza (Php 380). The Quattro Carne Pizza is majestically topped with four sausages: Florentina, Bratwurst, Kielbasa and Frankfurter over a generous layer of Mozarella cheese. A bit oily though with all the meaty-works but the thin crust and meaty flavor was evident with every bite. I know after eating all those meats, it's going to be hard to make room for desserts. But may I suggest that you must try at least one from all their sinfully decadent sweets. 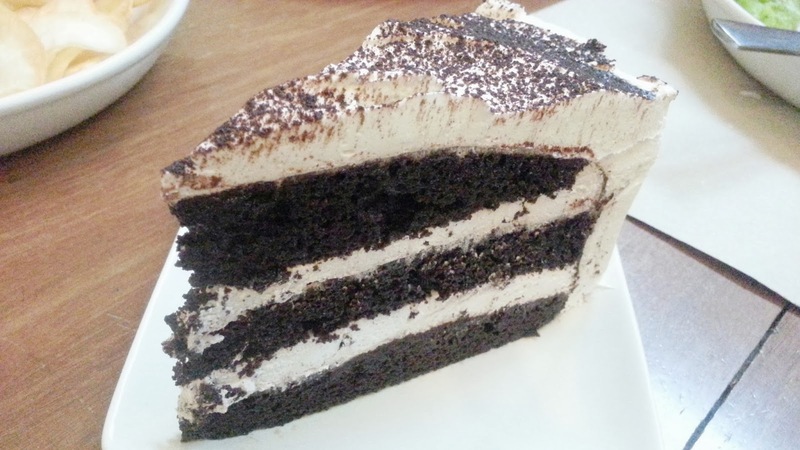 My recommendations: White Mountain Cake (P 150) and Blackout Chocolate Cake (P 155). Get that break from the usual chocolate overload during dessert, instead have a thick cream cheese frosting in between layers of rich chocolate from a slice of White Mountain Cake. For the undeniable choco-holics, this should not miss your list. 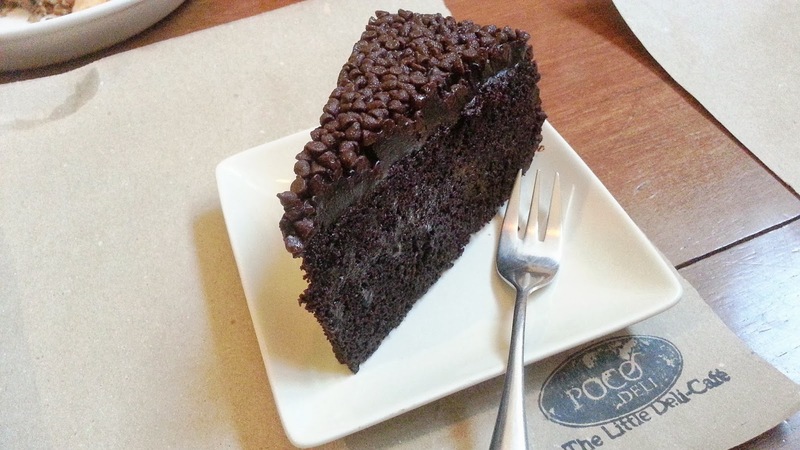 Taunted as one of the best-selling chocolate cake from many foodie circles, Poco Deli gives us Blackout Chocolate, a Belgian Chocolate cake with its top covered entirely with dark choco ganache and mini choco chips. Heaven, indeed! Now, let me see when I can squeeze in my schedule their Ayala Triangle branch?